We recently heard that the new Porsche 911 GT3 RS would be unveiled at the Geneva International Motor Show next month and now we have some more details about Porsche’s latest GT3. The guys from Autocar have managed to get their hands on some leaked official spec sheets for the new Porsche 911 GT3 RS. The Porsche 911 GT3 RS will apparently be powered by a 4.0 litre flat six engine that will come with 494 HP the standard GTS features 468 HP. 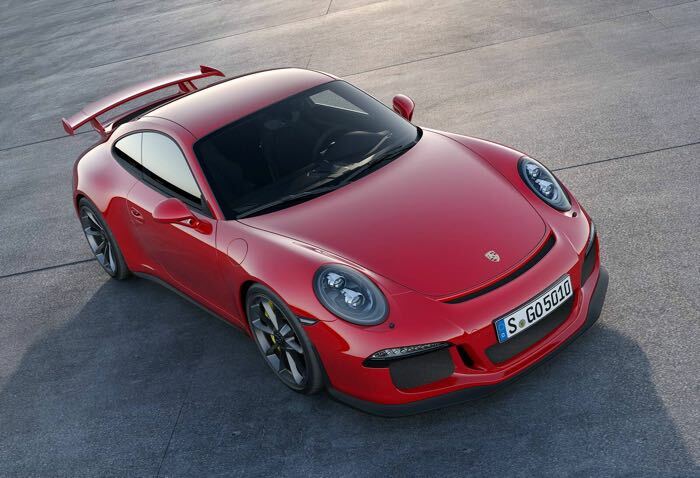 The new RS version of the GT3 is said to be lighter than the GT3 and it will also come with imrpoved aerodynamics. The 911 GT3 has a 0 to 62 MPH time of just 3.5 seconds and the new GT3 RS is expected to come with a 0 to 62 MPH time of either 3.2 or 3.3 seconds. We will have more details about Porsche’s new 911 GT3 RS when it is made official in Geneva next month, we are looking forward to seeing what it looks like compared to the 911 GT3.